"An arrow gone astray, a fall from a horse, an angry boar… there are so many ways a man can die in the woods." The game of thrones is played out on the battlefields and in the courts of Westeros—and although there is only one Iron Throne, there are countless ways that you may conspire to get there. Exploring different ways to play is part of the fun of A Game of Thrones: The Card Game, and it doesn't stop with just melee and joust. 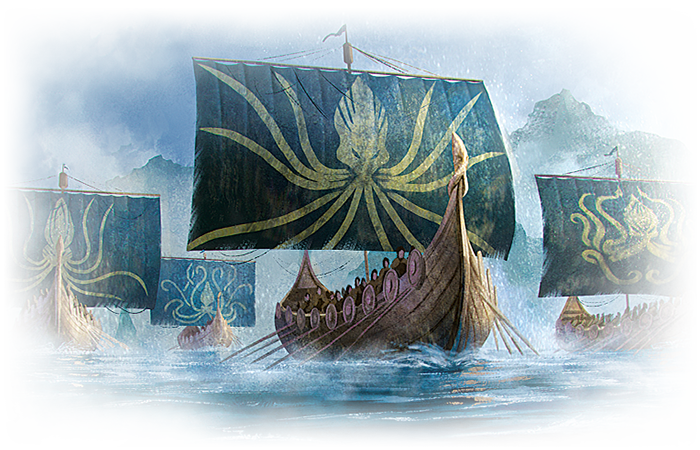 Today, Nate French discusses alternate formats for playing the game of thrones, including a completely new format for you to try! Hello A Game of Thrones: The Card Game players. It’s been a while, and I miss you! The other day, Evan Johnson in Marketing mentioned to me that some openings were coming up in the Designer Journal schedule, and asked if there was anything I would be interested in writing about. As I thought about the request, I couldn’t shake a recent conversation we had in the office about… plot holes. I should preface by saying we have a lot of strange conversations in the office. I don’t even know how we got on the topic of plot holes, but—because plots are such a big deal around here—we couldn’t help but start riffing on the idea of how a “plot hole” might function in A Game of Thrones: The Card Game. Inadvertently, the seeds of a new and intriguing alternate play format may have been planted. 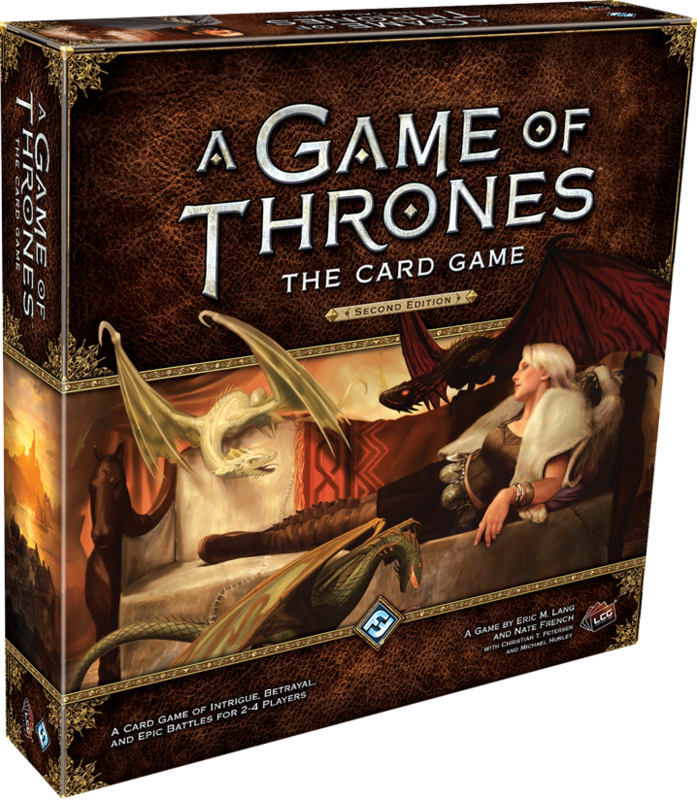 For those who were introduced to the community with the release of the second edition, A Game of Thrones: The Card Game has a long and rich history with alternate play formats. For this journal entry, I’d like to take a few minutes to share what, for me, have been some of the high points of that history, in the hope that some of you can also find value in playing the game in different ways. Then, at the end of the review, I’ll share some thoughts on how a Plot Hole format might work, introducing another option to the game’s alternate format possibilities! 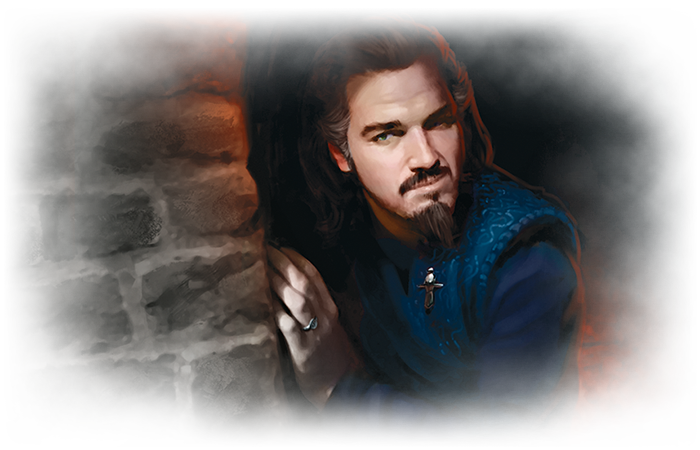 The first alternate format I ever encountered—as a player of the A Game of Thrones CCG way back in 2003—was a Littlefinger Tournament. In this style of tournament, each player was given a number of gold coins at the start of the event (our tournament organizer used large chocolate coins, which some players chose to eat). Then, we played a multiplayer event, with a twist: any time a deal between two players was negotiated, if a coin changed hands as part of the deal, the deal was binding and the player who received the coin could not go back on their word. Players got a couple new coins each round (but were also able to carry over their coins from the previous round) and any time you played a copy of Littlefinger you received a bonus coin from the tournament organizer. The Hand of the King variant was released (I believe) in 2011 as a featured promotional event for the first edition of the Living Card Game. In this format, each player chose one character from their deck to appoint as their hand of the king. This card started next to their House card, and one gold from the treasury was moved to the character each round. When the character had as much gold on it as its printed cost, it was considered to be in play; effects that would cause a hand of the king character to leave play removed one gold from it instead. In order to win the game, a player was required to have their hand of the king in play and with more gold on it than their opponents’s hand of the king, in addition to the standard win condition. The full first edition rules for the Hand of the King variant (which would likely translate well to the second edition game) can be found here! Do you want to reset the board with Valar Morghulis every round? 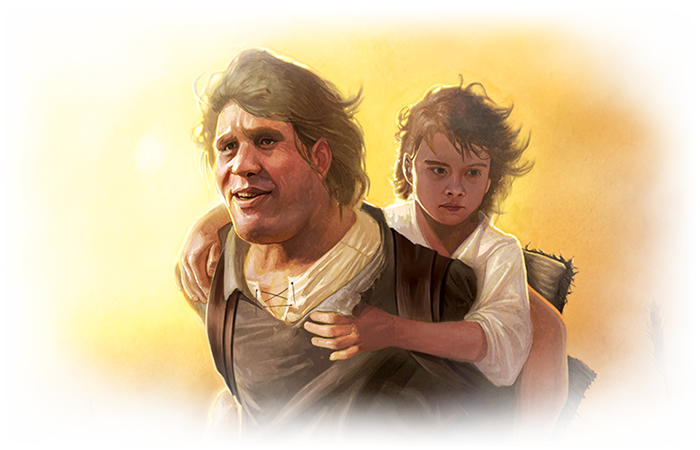 Hodor! Do you want to run Fortified Position and play the whole game with blank characters? Hodor! Do you want to—oh, you get the picture! Hodor! In A Game of Thrones: The Card Game, the plot deck represents the twisting and unpredictable narrative we encounter in the novels. The revelation of the perfect plot at the perfect time can be as satisfying as any plot twist, and—in my opinion—this mechanic is the backbone of the game that holds everything else together. Because of the central placement of the plot deck in the game’s conception, the idea of applying the concept of a “plot hole” to A Game of Thrones: The Card Game struck me as far too rich in potential to ignore. And I couldn’t help but think about it all weekend. The Plot Hole variant is a head-to-head format that can be played with any two standard decks. To make the numbers work, I believe that each player should use a plot deck with eight total plots, but no more than one copy of any single plot. At the beginning of the plot phase, each player looks at their opponent’s plot deck and the players simultaneously choose one card to remove from the deck and place in the used pile. The plot deck is then returned to the opponent, and plots are chosen for the first round. This process repeats each round, so that the game unfolds with the most logical plots continuously being removed from circulation—in effect, you are playing a game with numerous plot holes! If at any time a plot phase begins with a player having zero or one cards in their plot deck, the deck should reset, to ensure that the opponent always has a chance to impact the decision. 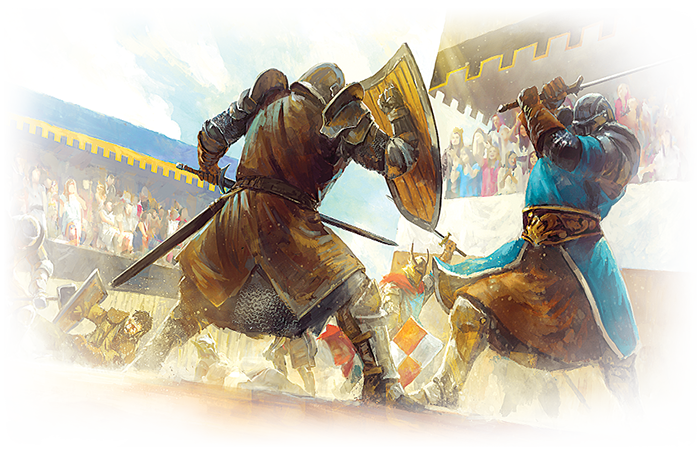 Outside of that, the game is played under standard A Game of Thrones: The Card Game rules—although there might be a need to ban House Martell, should the used pile interactions prove too strong in the format! Another possibility worth considering, that might make for an even more interesting game, is having the pilfered plots removed from the game rather than placed in the used pile—and when players are completely out of plots, the game ends! I believe that this choice of denying a plot will add a unique strategic twist to playing the game, and that, in turn, will lead to different approaches in how plot decks are built. Taken together, this makes the Plot Hole variant a refreshing alternative that challenges players in a novel way. 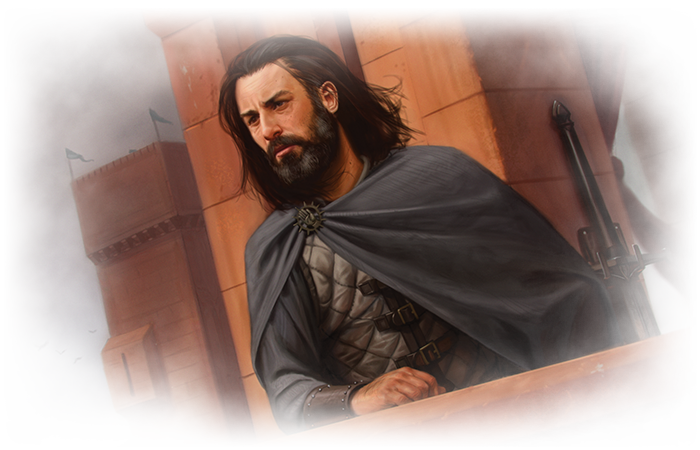 There have been numerous other alternate formats for A Game of Thrones: The Card Game throughout its 15+ year history, and this article is just the tip of the iceberg. For those who are interested in even more alternate formats from the first edition, the Kingsmoot and Civil War variant rules can be found at these links. In my experience, these alternate formats offer a great excuse to rediscover some forgotten cards in a different context, and come back to the main game with a deeper understanding of the card pool and the game. If any of you have encountered an alternate format that you find particularly enjoyable, please share—I’m curious to hear about it! Nate French is the longest-tenured member in the card game department, and serves as a mentor and coach for the team. More often than not, he’s working on a project he can’t say anything about… yet! In his spare time he is an avid poker player and enjoys reading, writing, sports, (older) heavy metal, and talking about LeBron.